Master PDF Editor for Windows 7 - Document Editor with the ability to export and support XPS format. The application can be used as a full-screen viewer with the function of adding text bookmarks and reviewing data using tools to quickly navigate through the tables of contents and pages of an open file. 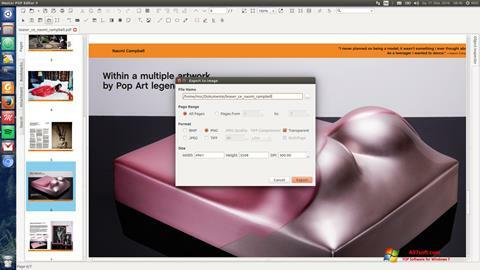 The program can export the selected pages to a separate document or a raster image, includes the manager of the opened objects with the ability to display thumbnails. The utility allows you to edit attributes, add watermarks, encrypt and combine several elements into a single file. You can free download Master PDF Editor official latest version for Windows 7 in English.